Classic polyester pant with modern added features. Added stretch makes this an everyday comfortable choice. 95% Polyester/5% Spandex. Machine wash cold, gentle cycle, do not bleach, tumble dry medium, warm iron. 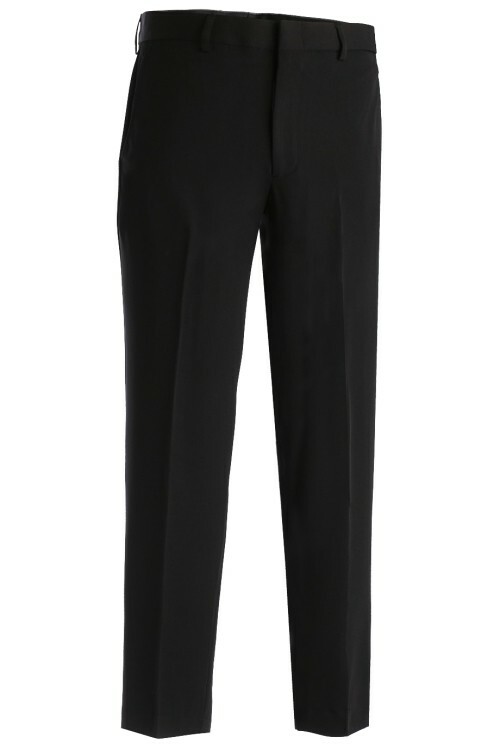 Classic flat front polyester pant with added stretch has a soft and smooth drape. Perfect for restaurants, coffee shops or catering. Indicate your inseam and the pant will be hemmed prior to shipping. Ladies companion is 8550. 95% Polyester/5% Spandex; 5.45 oz.wt.